High Pressure Milk Homogeniz er is the mechanical process where raw materials are put under high pressure and broken down into smaller particles. 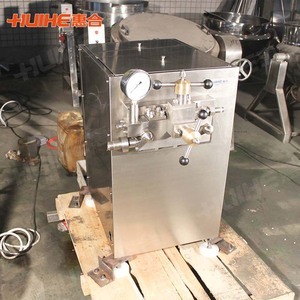 High P ressure Milk homogenizer is widely used to process food, beverage, pharmaceuticals, dairy, and chemicals, etc. 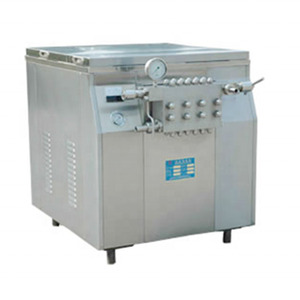 It can be used as milk homogenizer, beverage mixer and ice cream mixer. 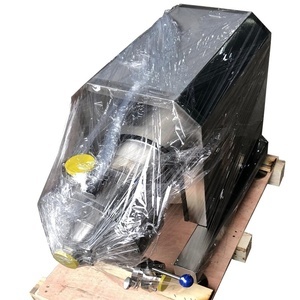 Homogenizer It is suitable for the homogenizing of liquid products whose viscosity is lower than 0.2Pa and whose temperature is lower than 80 C such as dairy, beverage, makeup, and medicine and so on. Structure of Homogenizer The stator works in concert with rotor, the working head (the stator and rotor forging manufacturing) is claw type structure, double suction and the shear efficiency is high. 5. It can prevent or reduce material liquid to layered, improve the look of the material liquid effect, making its color brighter, fragrance thicker, tastes well. 9 YRS Shanghai Jinben Industrial Co., Ltd. 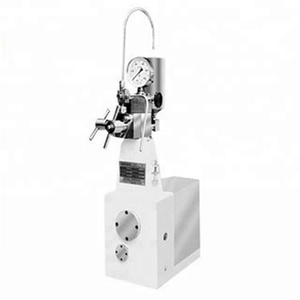 Specifications Used as high-pressure homogenizer transportation of fluid emulsification material in beverage, pharmacy, chemical industries High pressure homogenizer is a special equipment of the liquid material thinning and high pressure transportation. 1. 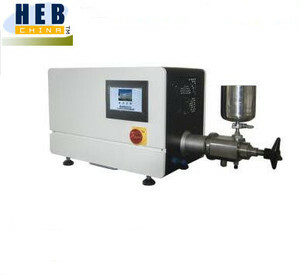 Be used as high pressure homogenizer It can cause the material thinning and mixture under the three action of extruding, strong impacting and decompression inflating. 2. 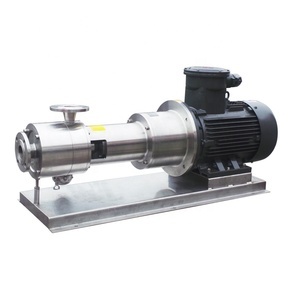 Be used as high pressure delivery pump It is an important equipment during the production of powdered medicine, as the fluid material produce high pressure when through the equipment, and be made to powder after through the spray drying device. 10 YRS Guangzhou Sunway Industrial Co., Ltd.
Lifelong services: we provide lifelong services for all the products we sold out, and supply the spare parts with discount price. Certificate services: we can provide related certificates to customers freely according to the request of customers. Inspection services: you can ask the third part inspection company or your inspector to inspect the products before shipment. 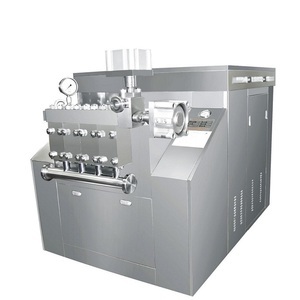 It uses a suspension under high pressure conditions, the loss of pressure through an adjustable current-limiting gap (homogenizing valve), the expansion, explosion, shear and high-speed impact, etc. 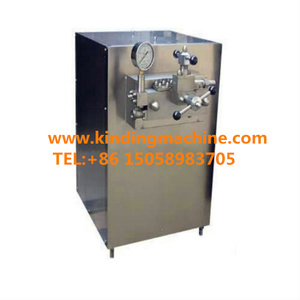 Start the machine / stop control located on the side of the machine, easy to operate, can be used for emergency switch, and includes a main motor of the thermal magnetic protection. 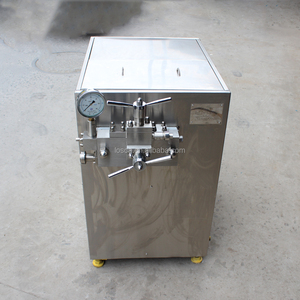 High-pressure homogenizer equipped with a polished stainless steel shell, removable, easy inspection and maintenance. We also can design, integrate, indtall and adjust the whole complete related product line according to customer's request with our main equipments. &bull;Through 10 years developing, our products are sale to more than fifty countries in the international world and the export amount is number one in the field. Our Farfly people keep going forward to strive in more quality products and achieve in famous brand with the aim of quality first, customer satisfy. 1 YRS Wuxi Rockaway Machinery Co., Ltd.
Alibaba.com offers 4,243 high pressure homogenizer products. About 45% of these are mixing equipment, 30% are homogenizer, and 1% are other food processing machinery. A wide variety of high pressure homogenizer options are available to you, such as homogenizer, agitator, and screw. You can also choose from viscous fluid, liquid with suspended solids, and liquid. As well as from milling, drying, and coating. And whether high pressure homogenizer is paid samples, or free samples. There are 4,243 high pressure homogenizer suppliers, mainly located in Asia. 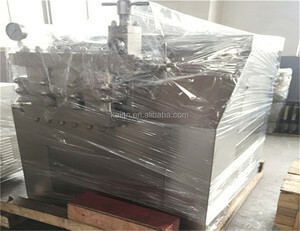 The top supplying country is China (Mainland), which supply 100% of high pressure homogenizer respectively. High pressure homogenizer products are most popular in North America, Domestic Market, and Southeast Asia. You can ensure product safety by selecting from certified suppliers, including 1,063 with ISO9001, 430 with Other, and 47 with ISO13485 certification.